i am eagerly anticipating this lovely series when it finally airs in January! Park Shin Hye's sooooooooooooo gorgeous as usual and i love how she's surrounded by a new set of flower boys again like she did in YB!!! I pray for this series' great success!!! i'm loving that they have a lot of promotions, this gets the ball movin' by making the audience anticipate their series more!!! Agree with the above 2 comments. She so beautiful, lovely & gorgeous in every outfits. For Year 2013 Resolution made for Princess Park Shin Hye that her Drama Flower Boy Next Door will receive High Ratings in ASIA and her Asia Tour 2013 will be a Big Success for her and more Dramas & Movies. Will always support you. Lastly Have A Blessed,Happy & Joyous Merry Christmas with your family & love ones. May you receive abundant of loves and all your dream come true. shes just so.... gorgeous and cute and.... i cant even say anything. im jsut speechless of how cute she is. like before i knew her, i always loved girls generation and i still do now. they were so cute in many variety show but after i found park shin hye after watching you're beautiful, i just can get enough of her! i began to watch all of her dramas and movies and even pray for her to be in alot of variety shows. now im definitly anticipating this drama. its so cute and awesome. tvn just never disappoint me in any of their drama cast especially in this drama! 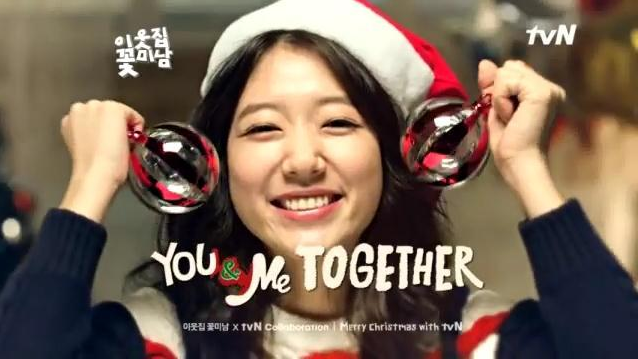 our shin hye and si yoon will be the best!